What is Pla yground Turf? Synthetic grass, or artificial grass is mostly seen in athletic fields across the country, but is also used in playgrounds, indoor play areas and dog parks. In general, synthetic turf is made of artificial grass blades and rubber or sand infill materials to create the appearance of real grass, but with much better impact attenuation. Synthetic turf is easy to maintain, and you do not need to worry about objects getting lost in the “grass.” Synthetic turf is also an accessible playground surface material. Artificial turf is a wise investment for anyone looking to add a safe, accessible, durable playground surface that lasts for years. The initial investment in the correct product is more than made up for with its lack of maintenance and upkeep. No matter what the climate or terrain is around the playground, artificial turf is an excellent design choice that remains dry and safe throughout the year. 1. Durability: Warranty on our artificial turf is 10 years, giving playground turf our highest recommended option for durability. 3. Clean: Artificial turf is easy to clean and largely requires just the removal of large debris from the surface. 4. Cost Effective: Artificial turf is easy to clean and largely requires just the removal of large debris from the surface. When you invest in a playground, you want to be sure it provides maximum safety for as long as possible. Playground turf lasts longer than most safety surfacing you’ll find, and it comes backed by our 10-year warranty. There’s enough mess in life without the added grime on kids, clothes, and floors after being on the playground. Other surfaces such as mulch, sand, or even other synthetic grass with exposed crumb rubber leave kids’ clothes and hands messy. Playground turf is a clean, easy-to-maintain surface. It’s a unitary surface that requires very little maintenance, typically not requiring more than a brushing, or blowing off landscape debris from other plantings. What kind of maintenance is needed for playground turf? Groom fibers twice a year with a power broom weed whacker attachment to refresh fibers. Replenish in-fill of sand if needed (dependent on soil conditions, precipitation and usage). We back our product with a 10-year warranty. Many installations are still in use after 15 years. Artificial turf for playgrounds passes the ASTM F1951 test for ADA accessibility, meaning that wheelchairs can easily roll across it. 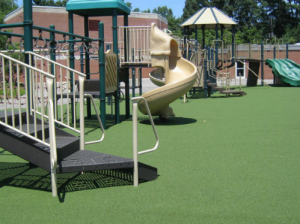 We are proud to offer a truly accessible playground surfaced with our synthetic grass for playgrounds. Artificial turf is a wise investment for anyone looking to add a safe, accessible, durable playground surface that lasts for years. The initial investment in the correct product is more than made up for with its lack of maintenance and upkeep. No matter what the climate or terrain is around the playground, artificial turf is an excellent design choice that remains dry and safe throughout the year. Prices range between $7 and $13 per square foot installed within the playground area. Synthetic grass systems are made of artificial grass blades attached to a backing, and in-filled with our specialty sand, which keeps the blades upright and looking more natural. Water passes through the turf quickly which is typically installed over a 4” compacted stone base, allowing your kids to get back on the playground even after heavy rains. 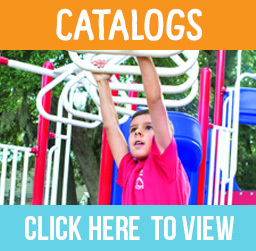 Florida Playgrounds has a complete range of high-caliber synthetic turf. All of our products come from the highest quality of manufacturing facilities, and is all manufactured here in the USA. We supply premium materials and use our extensive installation experience to do your project right from children’s playgrounds to your back home landscape. 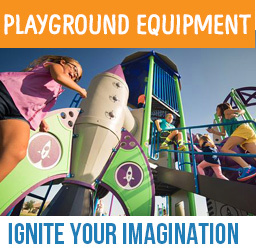 Florida Playgrounds is home to the standard-setting professionals in the synthetic turf industry. With our selection of turf and expertise in artificial grass, we lead the way in installing artificial Playground Turf, or any play, Pet Turf area, home landscape or putting turfs. Supplying synthetic driving range materials, creating state of the art landscape projects, building safer, more durable playgrounds, and engineering indoor sports facilities. Anything you want to do with artificial turf, we can do! We stand behind our products and each of our loyal customers 100%, continuously offering our family of customers the most extensive support possible. 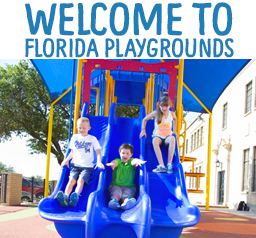 Experience a Greener World, with Synthetic Turf from Florida Playgrounds!